Nobori flags are everywhere in Japan. From convenience stores to real estate agents and noodle shops, they are an effective colorful tool to advertise any business. 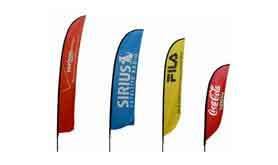 It is also kown as Telescoping pole Flags / Stand, These outdoor flag pole stands are an ideal way to promote a company at an event or tradeshow! The displays will attract potential customers, clients and patrons. 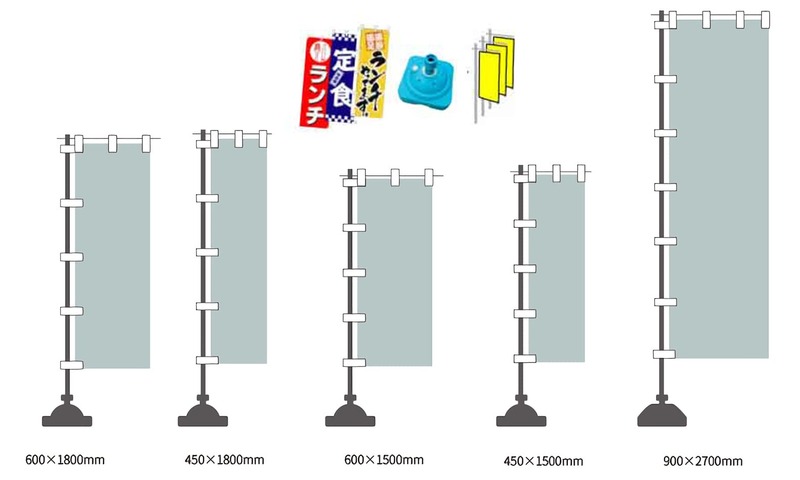 Outdoor flag pole stands with telescoping poles, also known as trade show displays, provide a flying design that will captivate attention from customers. If your company has an event and needs to have an advertising medium, this stand allows customers to get printed pennants and attach them with ease. These outdoor flag pole stands with water base allow for displaying this giant flying design outside for optimal promotion. These pennant displays are also a great choice for displaying artwork about a company, product or service information and can be seen at major locations such as museums, events, trade shows, stores and many others.